good cost/performance value of GE series, and entry gaming of GP series. 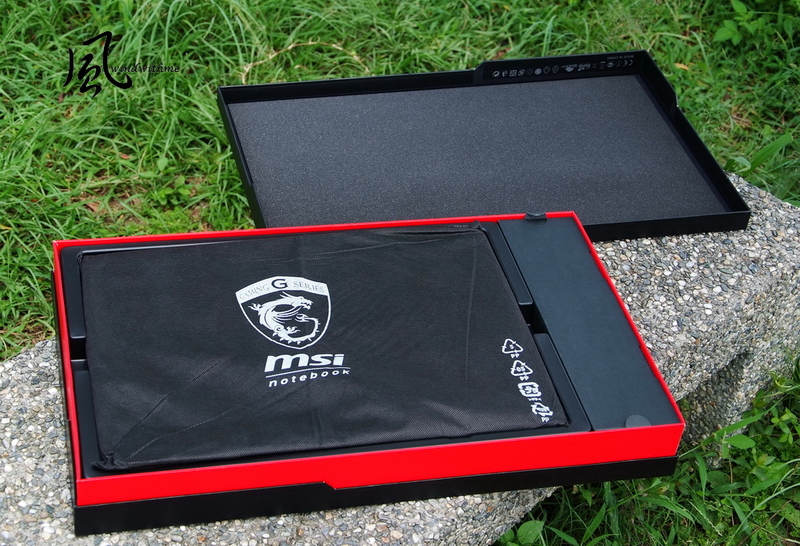 MSI offered more different level of Gaming product line for more consumers to choose. 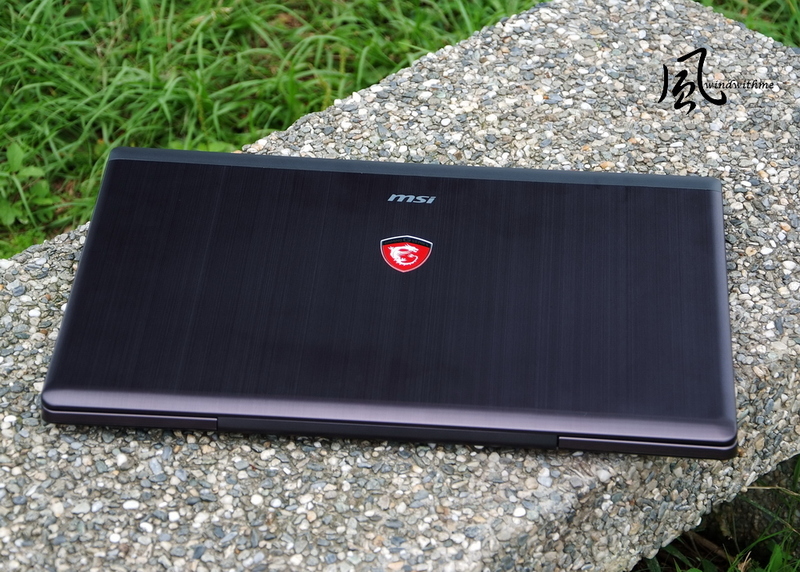 This time I want to share MSI latest mechanical design product, it belongs to Ultra-thin style GS series. 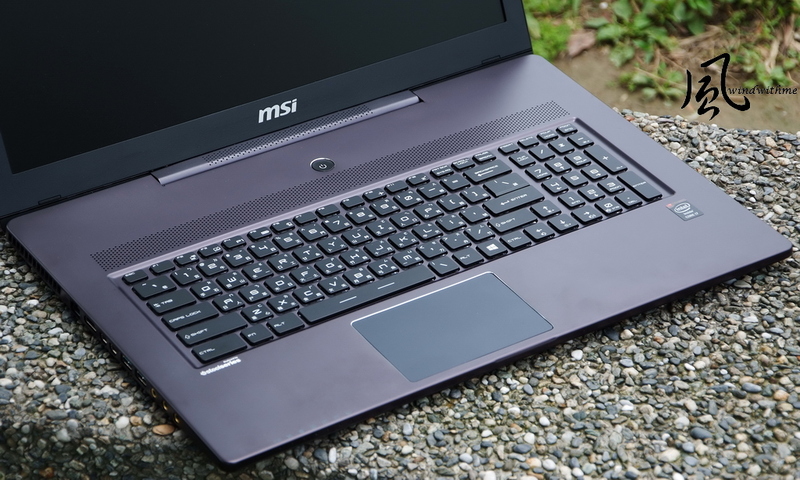 but thats because of Highest CPU and Graphics makes these notebook needs higher thermal solution capability, so the size always bigger and much heavier. 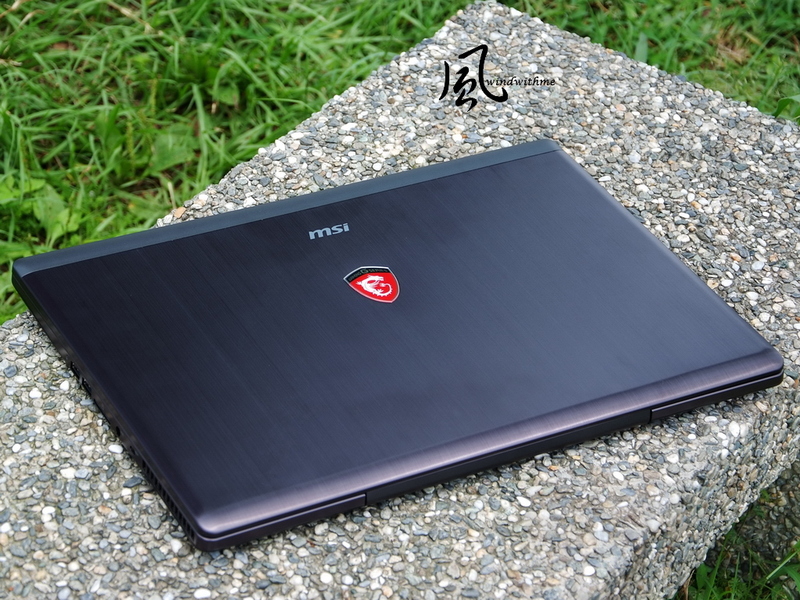 This time MSI brought high level Gaming hardware into Ultra-thin style become GSseries, that brings different choice to the gaming notebook market. First we take a look on GS70 box design, its real different from GT and GE series box design. 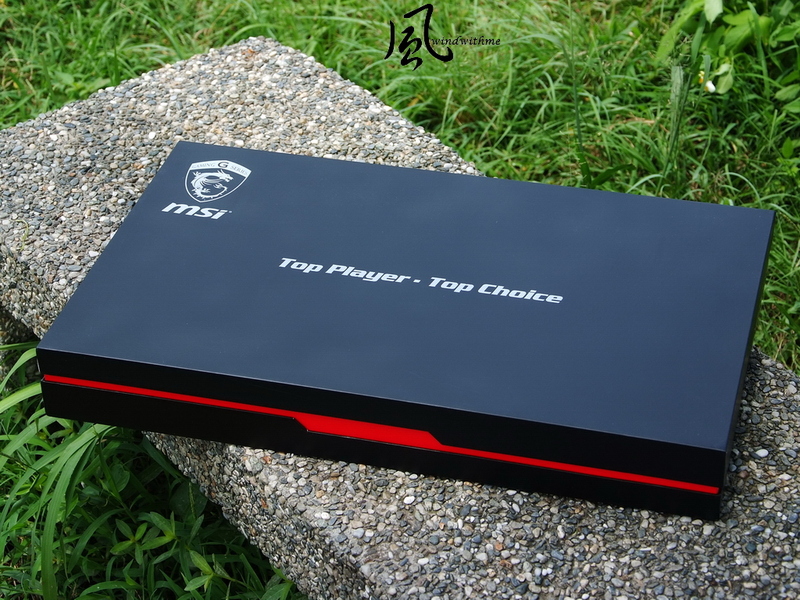 Used gift box case style with black cover, the gaming feeling red line across the box, that gives fine works quality. Inside the box the GS70 and accessories placement is good, use cotton cover and foam rubber to enhance the protection. 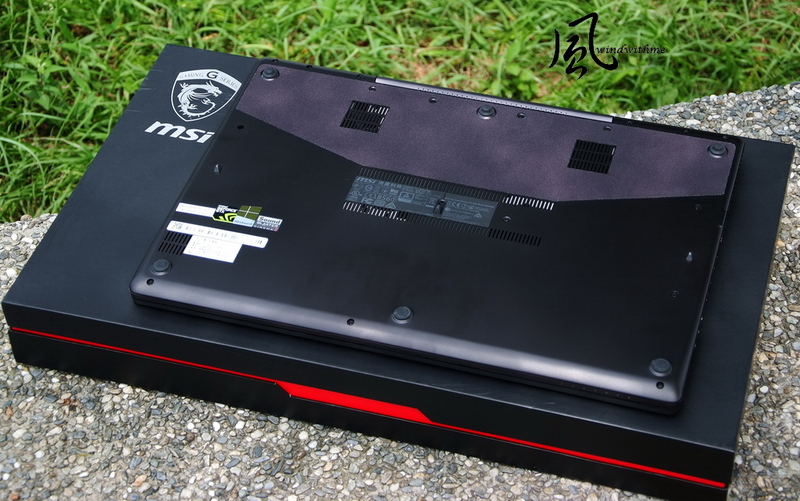 Obviously we could see the foam rubber inside the top case to protect GS70 as well. 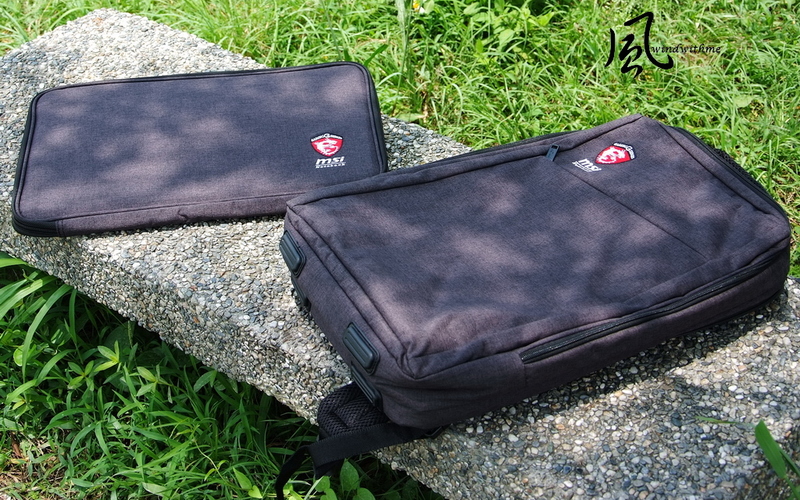 The gray color type of GS70 notebook backpack comes with different style compared with GT/GE series backpack. This backpack looks more simple style, metallic material is more high quality, and comes with 1 more interior bag for easier to carry and protection. these 2 points are the biggest advantage of GS70 dimensions. and with a little purple under sunshine. 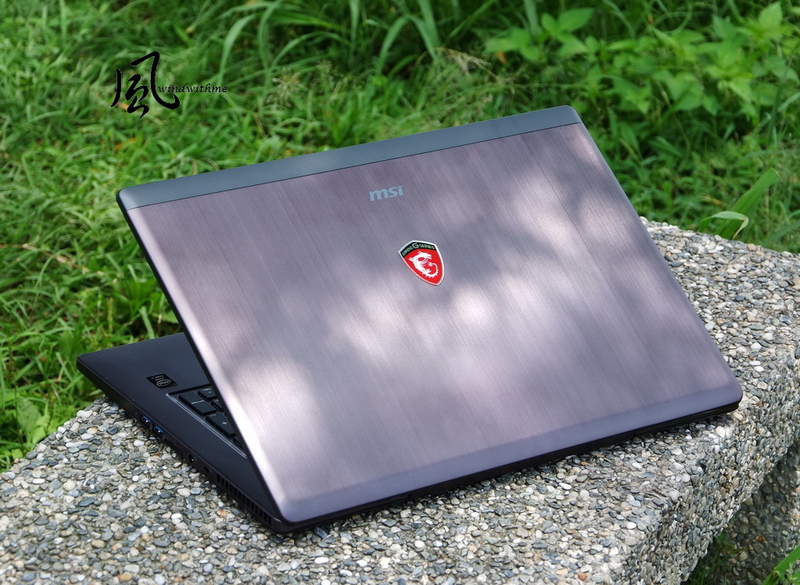 The shield used Mg-Al metallic design,its 50% lighter and 10% more solid. The Logo design looks better than before, with a dragon tattoo inside the red shield, come out white light when power on. The 2 parts of exhaust holes for airflow out designed for CPU anGPU cooling, the holes aside the sticker designed with subwoofer. 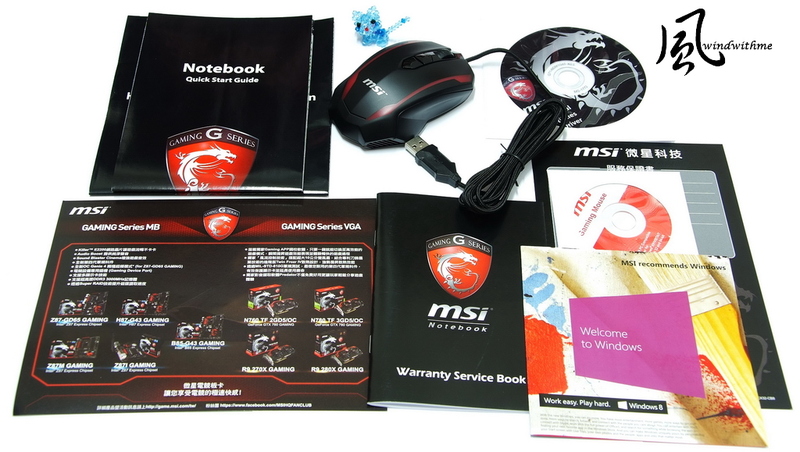 The Driver DVD, Quick manual, product feature intro, optical gaming mouse and 2 years warranty license. 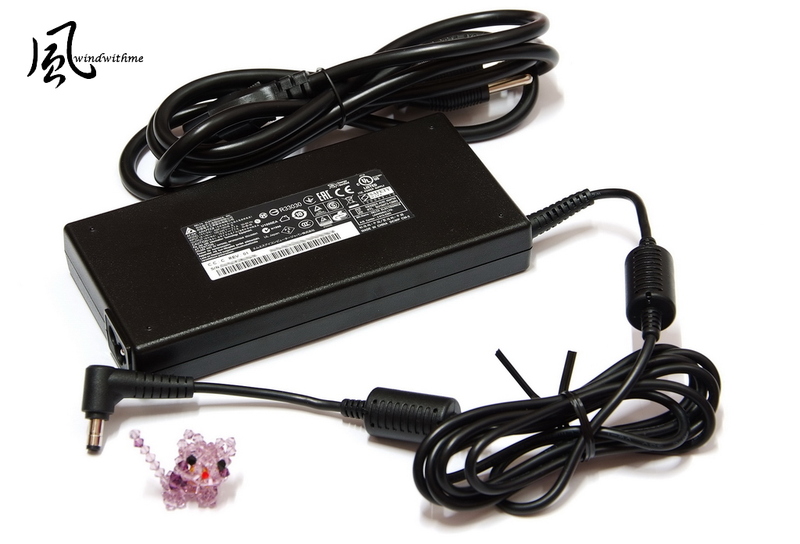 Slim type adaptor made by Delta, its stable good quality traditional brand. Supports up to 150W power, 25mm thin. GS70 built in battery is non-changeable, the spec. is 5400mAh60Wh. did not make it bigger because of the slim type design, the square measure is similar as Alienware 17. SteelSeries slim type full color gaming keyboard got new features, will introduce this later.